Scotland has an estimated 61,500 problem drug users (NRS, 2017) and approximately, though more difficult to ascertain, 23,000 people who inject drugs (PWID) in mainland Scotland (Hay et al, 2009). The harms associated with injecting drugs are multiple and include health, social and economic aspects and there are strong links between poverty, deprivation and problem drug use (SDF, 2007). The impact of drug injecting on the health of individuals is potentially huge and can include Blood Borne Virus (BBV) infections, bacterial skin and soft tissue infections (SSTIs) and even fatal overdoses. The financial costs associated with drug use alone in Scotland is estimated to be £3.5 billion pounds (Scottish Government, 2009). Amongst PWID in Scotland, as elsewhere, hepatitis C is highly prevalent. According to data gathered as part of the Needle Exchange Surveillance Initiative (NESI) Scotland study, the prevalence of hepatitis C, a blood borne viral infection, amongst PWID in Scotland is 58% (Health Protection Scotland et al, 2017). Although the main drug of injection in Scotland is heroin, the injection of other drugs such as cocaine is increasingly prevalent. Of particular note for this study though is that comparative data from the NESI study has also shown an increase of the injection of NPS amongst PWID in Scotland from less than 1% of active injectors in 2008 to 10% in 2015 (Health Protection Scotland et al, 2017). Drug related deaths in Scotland have been increasing over recent years and reached their highest level in 2016 (NRS, 2017); and are currently amongst the highest rates in Europe. Novel Psychoactive Substances (NPS) were implicated in, though not the sole cause of, 286/867 drug-related deaths in Scotland in 2016, suggesting the scale of the problem relating to NPS. However, very little is known about the pathways, risk behaviours and health consequences of injecting NPS drugs either nationally or internationally. 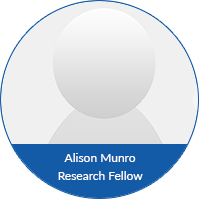 The Chief Scientist Office has funded a 15 month study that will explore the health implications for individuals, the wider public health agenda and inform future service provision needs and harm reduction and treatment interventions. The NPSIS study commenced in October 2017 and will run until the end of 2018. The study seeks to explore the context, practices, risk behaviours and harms associated with NPS injecting; to inform future service provision planning and identify effective harm reduction and treatment interventions. Provide a deep understanding of the nature of NPS injecting amongst PWID in Scotland and to examine the pathways to injecting, potential harms, risk behaviours as well as use of existing services and gaps in service provision. Which NPS drugs are being injected by PWID, what is known about their content and effects? In what contexts are NPS being injected, including private or public injecting, and group or solo injecting? What are the motivations and pathways to NPS injecting and to what extent are NPS being added to existing drug injecting repertoires or are replacing them? What potential risks are being taken by people who are injecting NPS and to what extent are health harms being experienced, i.e. risks of BBV acquisition, SSTI and sexual risk behaviours? What harm reduction and safer injecting advice do PWID receive in terms of their NPS injecting? What existing drug related services do NPS injectors use, including drug treatment centres and injecting equipment provision facilities, and to what extent are these meeting the needs of NPS injectors? This 15 month study will recruit participants from drug treatment and other Injecting Equipment Provision services in three NHS boards where injecting of NPS rates were found to be amongst the highest in Scotland (Health Protection Scotland et al, 2017): Grampian, Lothian Tayside. We will conduct qualitative interviews with up to 60 people who inject NPS to establish patterns of injecting and risks associated with injecting NPS as well as their use of drug treatment and other services. The data collected from this study will be analysed using appropriate qualitative methods, ie, framework analysis to identify the major themes that are evident in participants transcripts and using Rhodes theoretical framework (2002). It is anticipated that results from this study will be available in early 2019. The study’s results will be published in scientific journals, disseminated at national and international conferences, published in leaflets for study participants and made available on the University of Dundee’s website. Hay G, Gannon M, Casey J and McKeganey N (2009) Estimating the National and Local Prevalence of Problem Drug Misuse in Scotland. University of Glasgow. 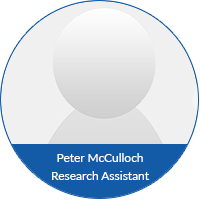 Health Protection Scotland, University of the West of Scotland, Glasgow Caledonian University and the West of Scotland Specialist Virology Centre. The Needle Exchange Surveillance Initiative: Prevalence of blood-borne viruses and injecting risk behaviours among people who inject drugs attending injecting equipment provision services in Scotland, 2008-09 to 2015-16. Glasgow: Health Protection Scotland, March 2017.